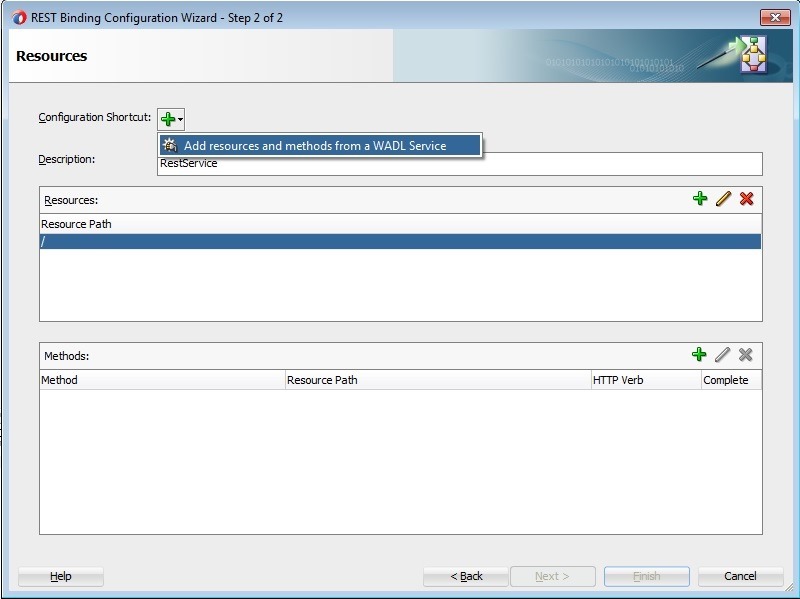 Sample application can be found here. 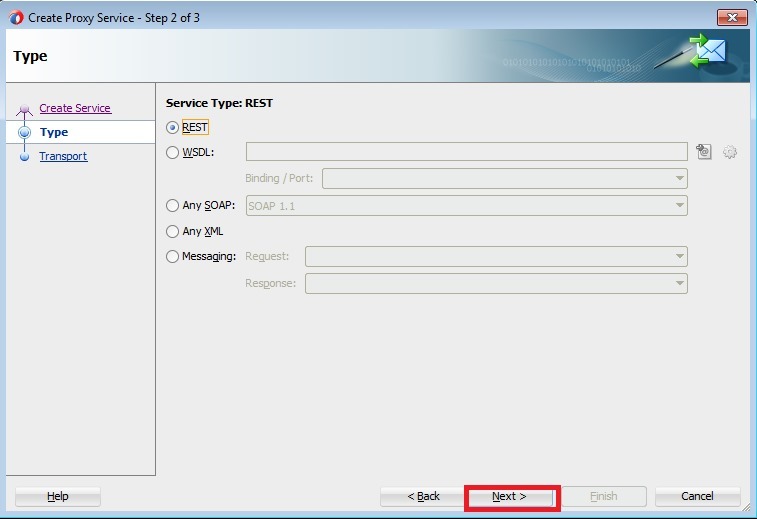 In this post, we will see how to use Row Finder in ADF BC REST services. 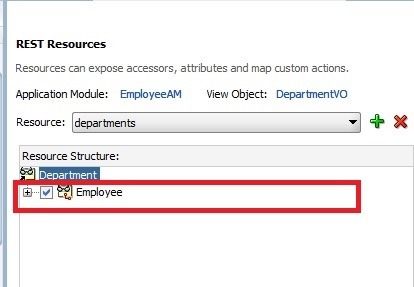 Open REST resource VO and create a View Criteria as shown below having 2 bind variables for Department name and Location ID. 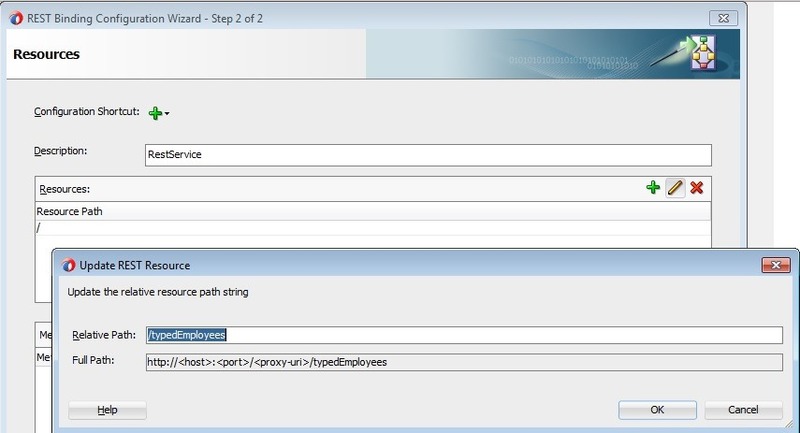 Go to Row Finders section and create new one with searhByDeptName. 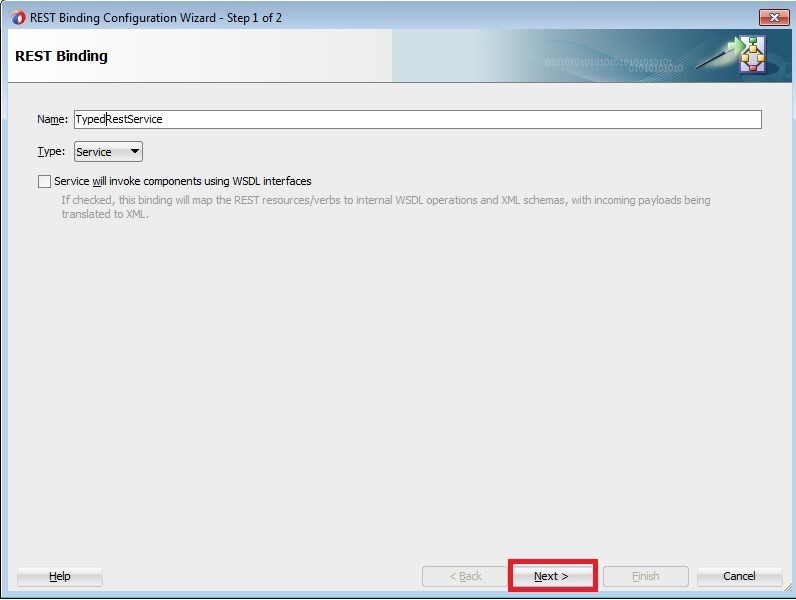 Here we can observe that above VC is selected by default. 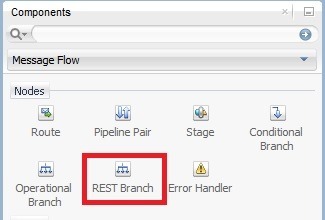 In Variables section as shown below, we can also set whether bind variable is allowed to be passed in REST resource URL along with Required settings. 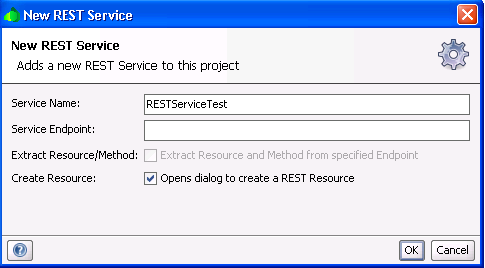 Deploy the application and use any REST client to test GET method using the following urls. 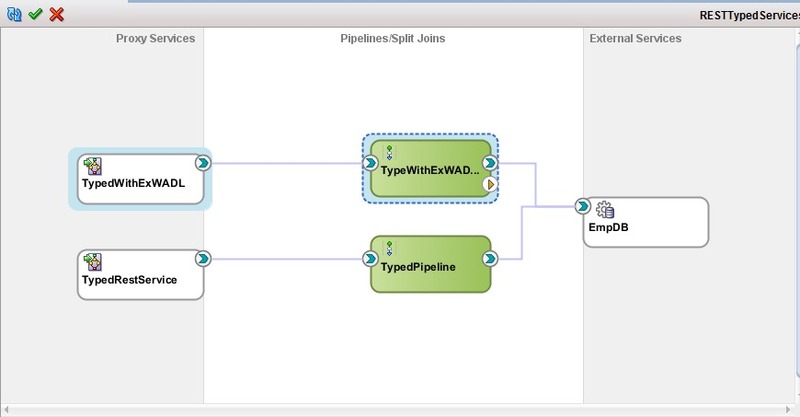 Observe the usage of row finder and bind variables. 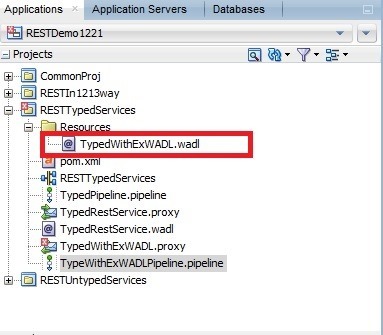 Now mark bindLocId variable as required and try to test without using it in the URL and you will observe the error as shown below. 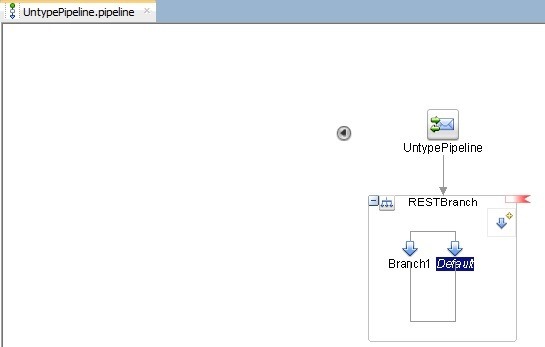 In ADF, often we see error saying ‘JBO-25014: Another user has changed the row with primary key oracle.jbo.Key’. 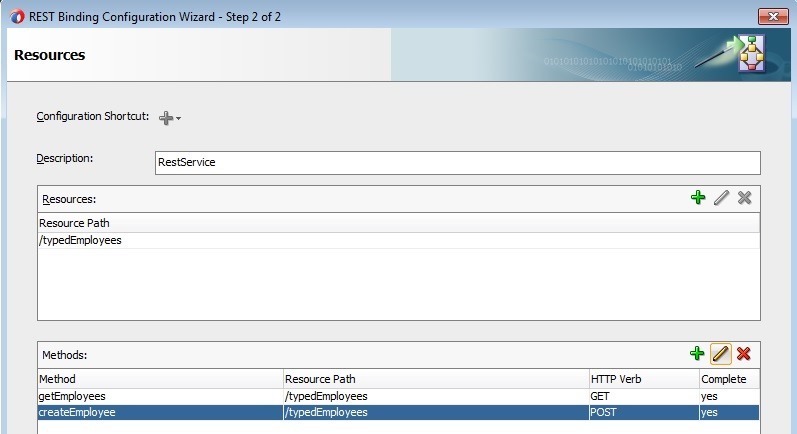 The framework throws this error to make sure that none of the user changes are accidentally overwritten by another user and generally occurs when a user trying to modify record that has been just modified and committed by another user. 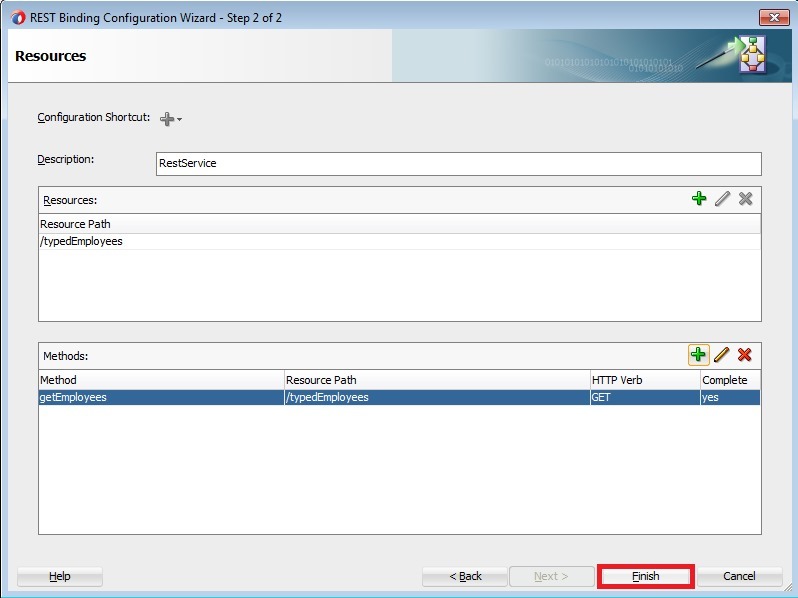 In this post, we will see how to take care of this scenario using ADF BC REST services in context of HTTP PATCH. 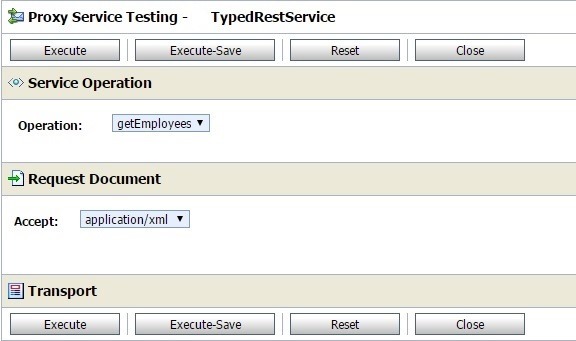 ADF BC REST Services make use of attribute called changeIndicator which can be observed in response of GET. 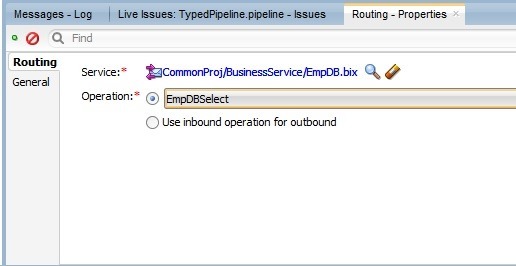 EO should have an attribute marked as Change Indicator and set Track Change History as shown below. 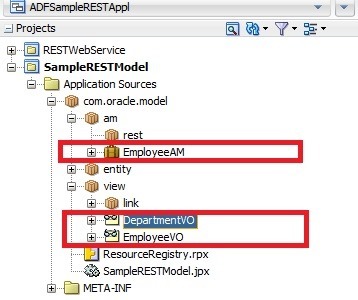 Add this attribute in VO i.e to be exposed as REST resource. 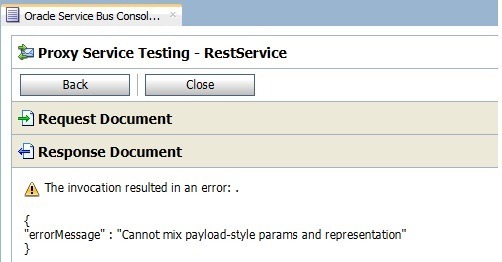 Deploy your changes and issue GET to observe changeIndicator as below. 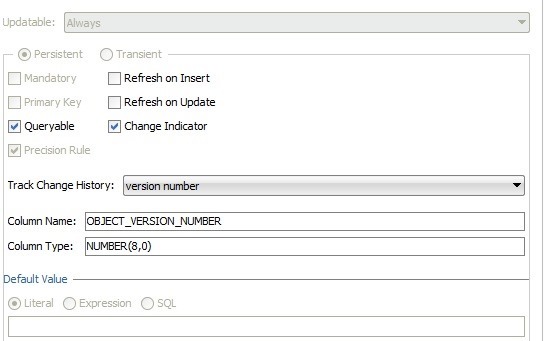 Now update department 10 using following sql query to simulate the actual update. 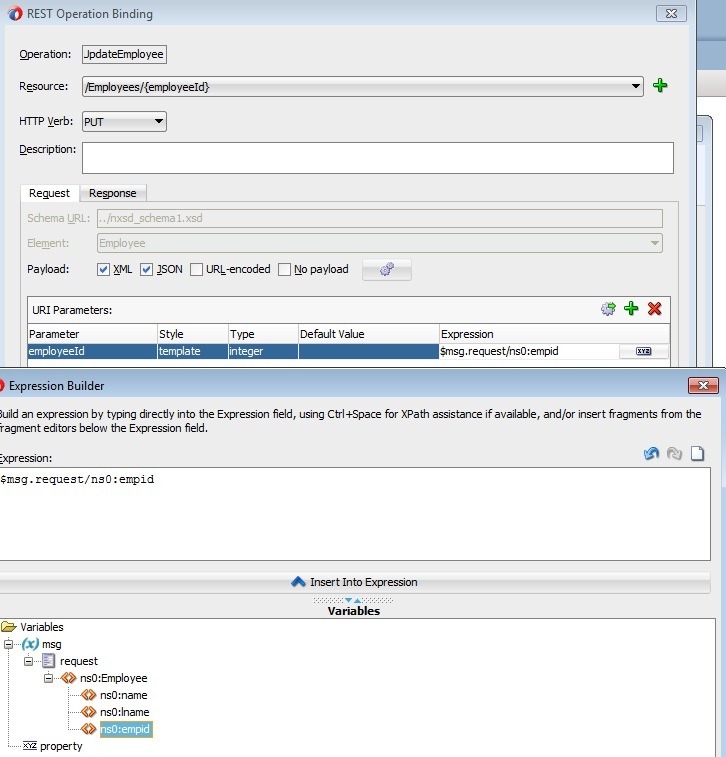 Issue GET again on same resource and observe the changeIndicator. 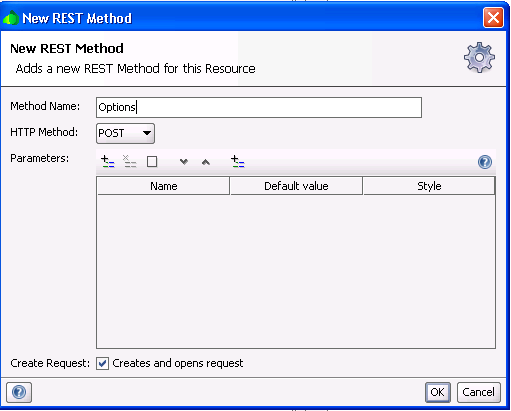 As observed above, the value of changeIndicator changes with each update and is calculated by RESTServlet registered in web.xml of RESTWebService project. Here is an interesting observation and do issue issuing GET for department 10. 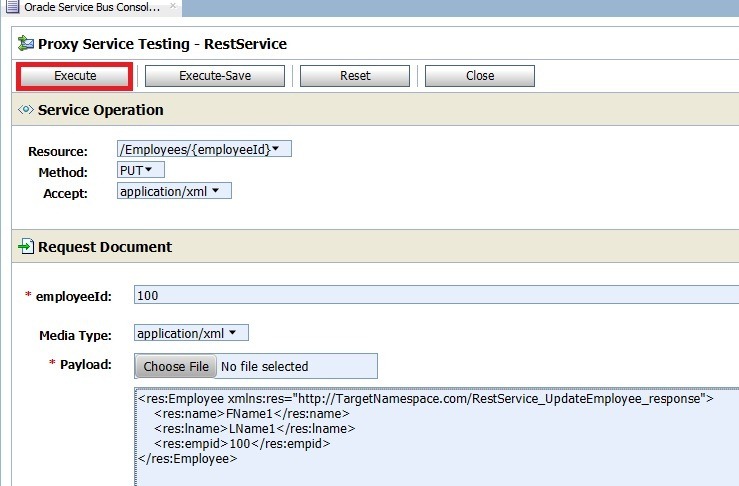 If we observe HTTP response headers, the value of ETag is same as that of changeIndicator. 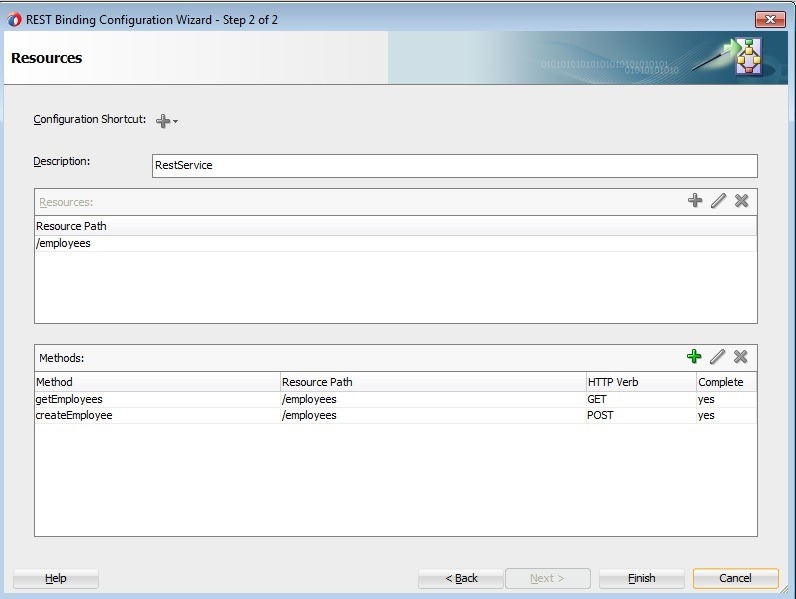 Hence changeIndicator works in similar lines of ETag defined in HTTP specification. 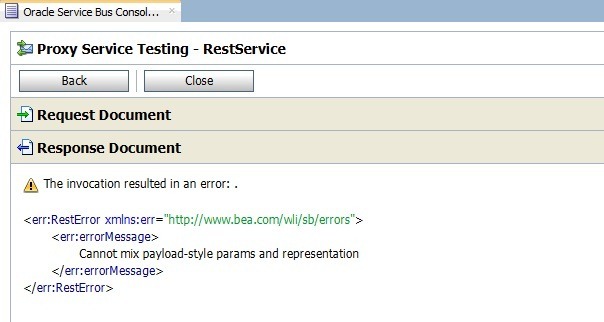 Now let us observe the behavior of REST resource when ETag is used for If-Match/If-None-Match HTTP headers during GET and PATCH. 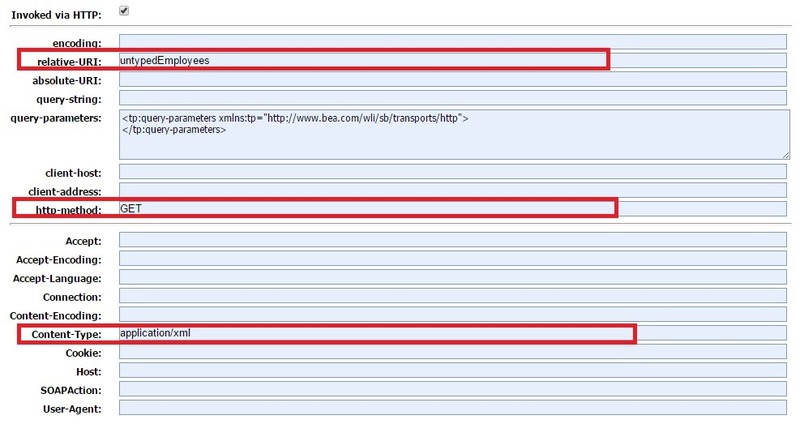 Basically these HTTP headers tells server to do requested operation when sent Etag value matches or did not match respectively. 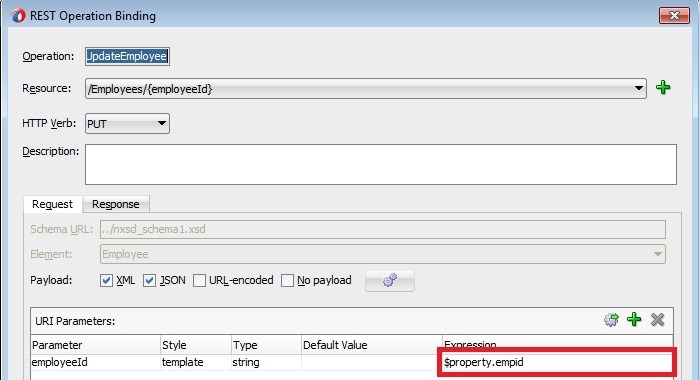 Make sure you enclose ETag value with “ (double quotes) as shown below. 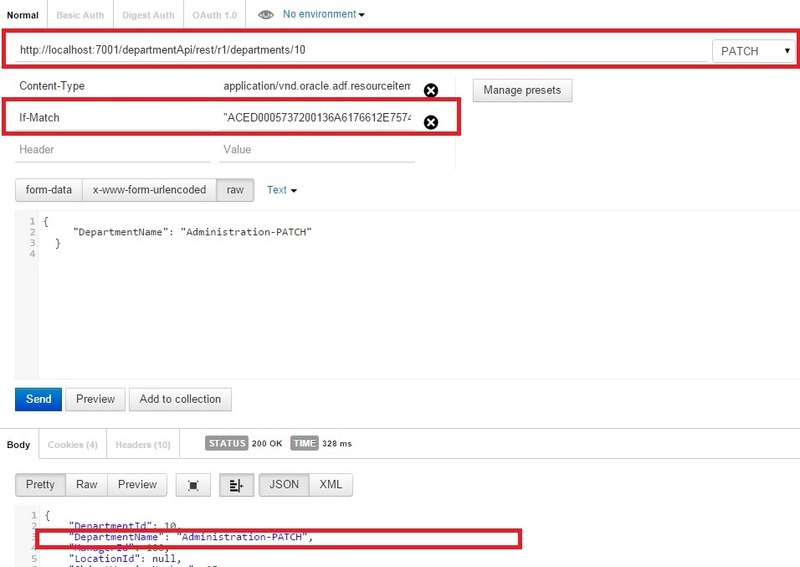 When resource is not modified, returns status code as 304. 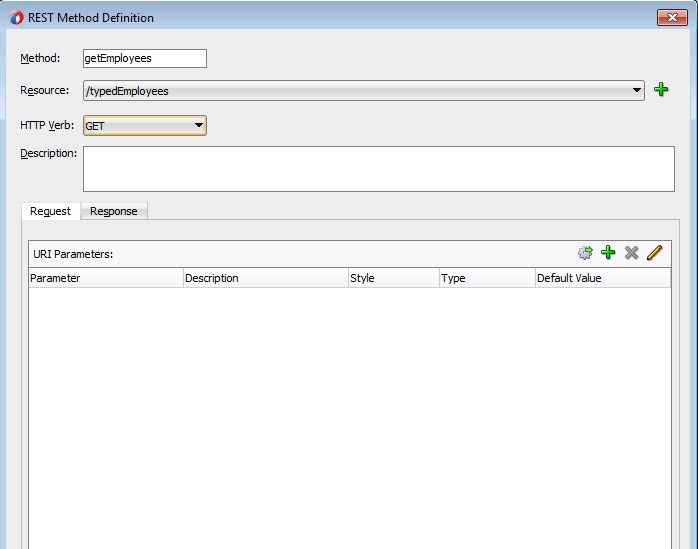 When resource is modified, returns response with new changeIndicator value. 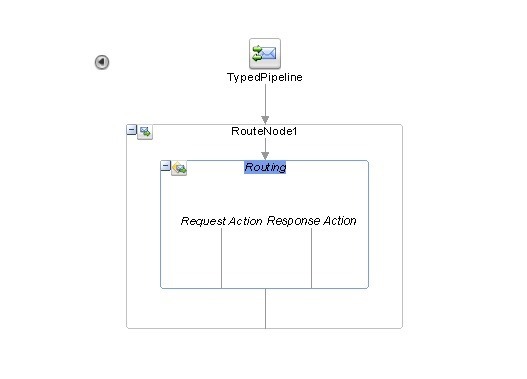 When resource is not modified, returns response status code as 412. 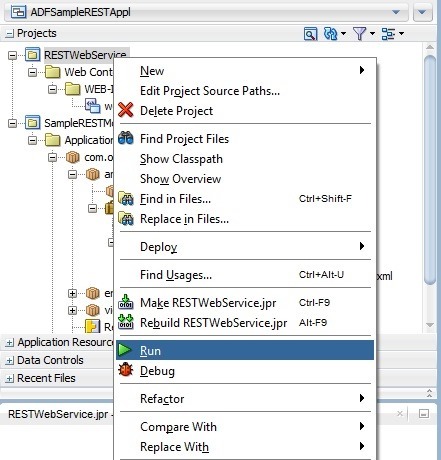 When the resource is not modified, then returns response with new changeIndicator value after update. 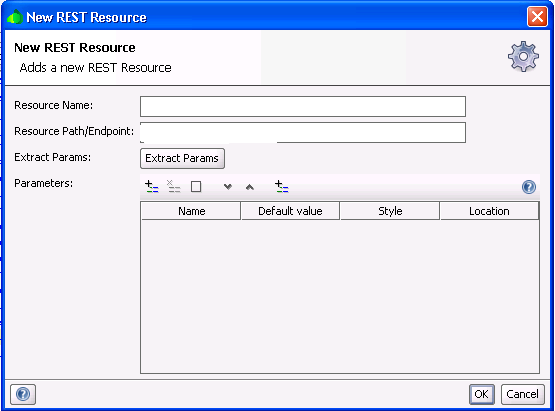 When resource is not modified, resource is returned. 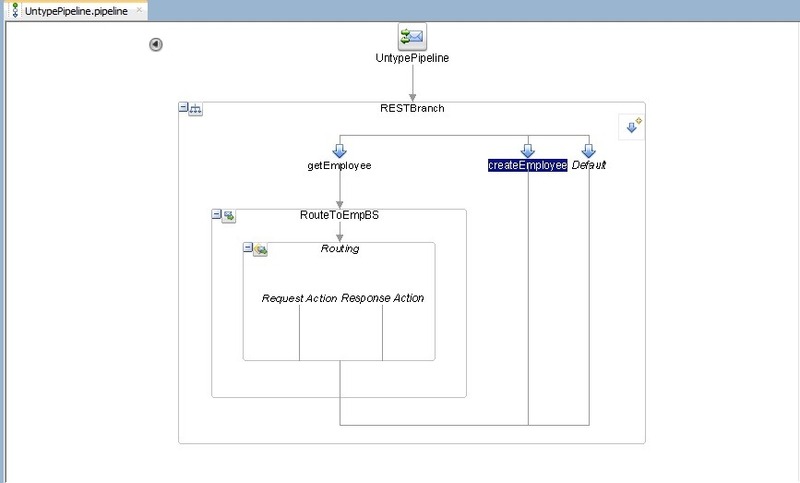 When resource is modified, expected response status code is 304 but shows 200 with junk response. 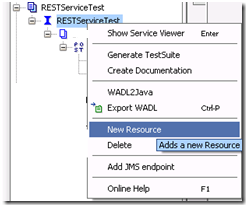 When resource is not modified, returns response with new change Indicator value after update. 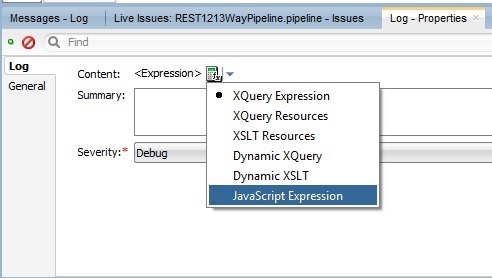 When resource is modified, expected response status code is 412 but shows 200 with junk response. 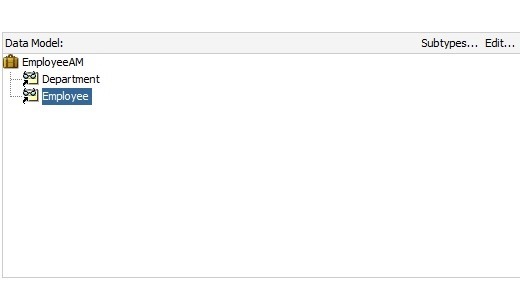 However you will observe that the actual update is not happening though it returns 200. 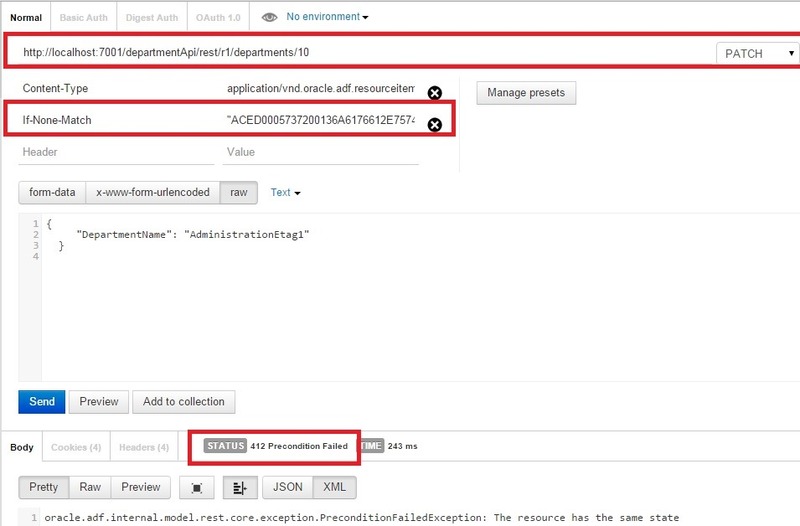 Note: As you observed above, ETag combination with If-Match header is not working as expected which is a bug in this release. 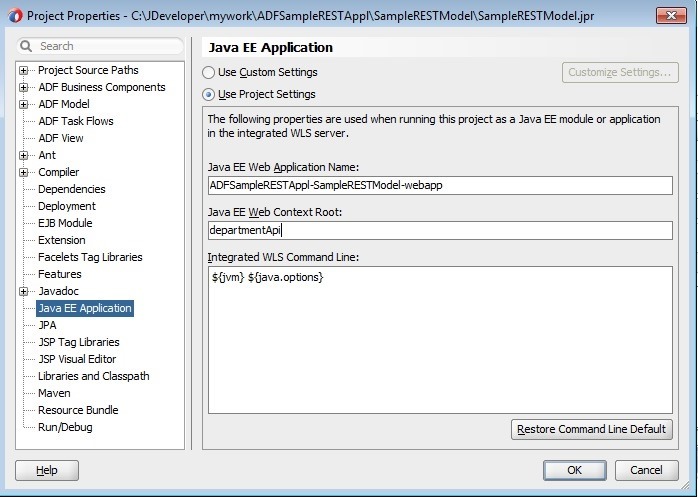 In this blog post, We will see how to expose ADF VOs as REST resources. 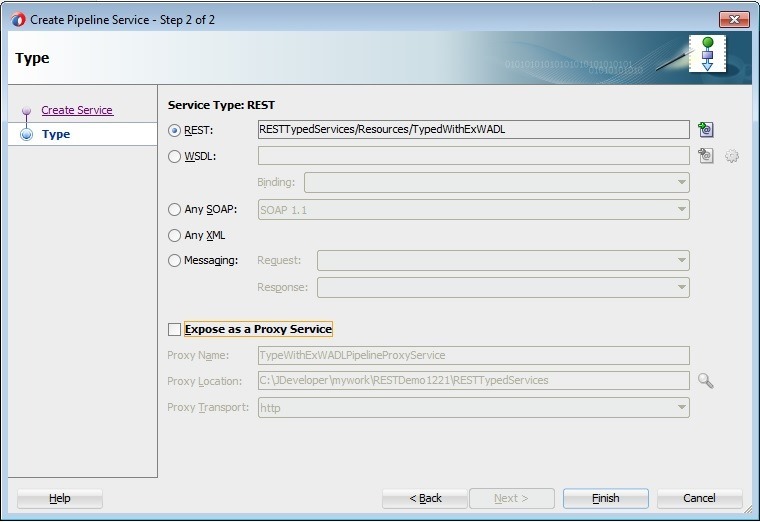 ADF has got native REST support in 12.2.1 release. 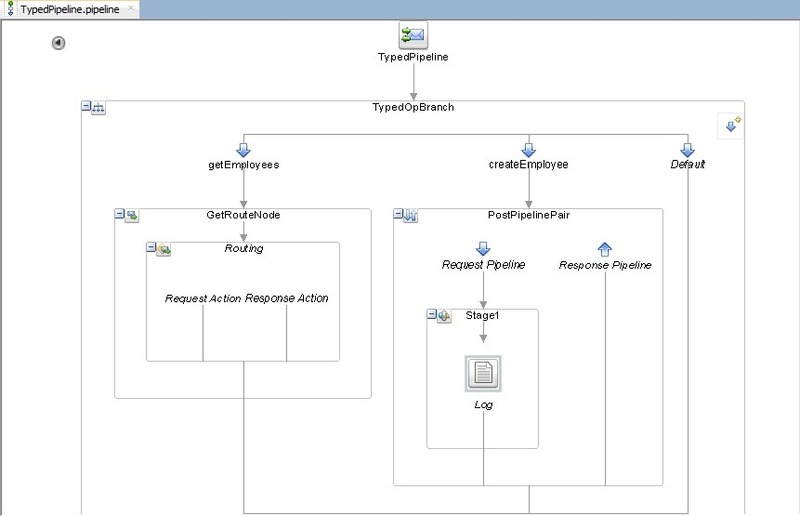 We will use Department, Employee VOs and following AM Data Model here. 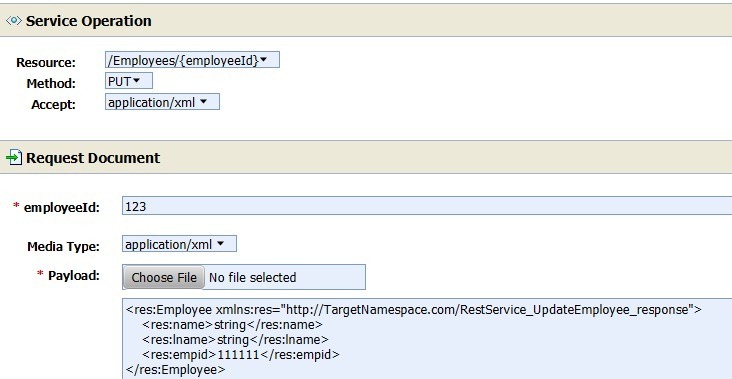 Creating a release version in adf-config.xml is the first step to be done before exposing any of the AM VOs as resource. 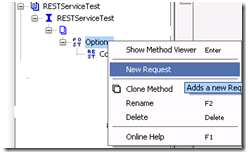 Use the following steps to create one and you can follow your own conventions for versioning REST resources. Here I have given the initial version as r1. 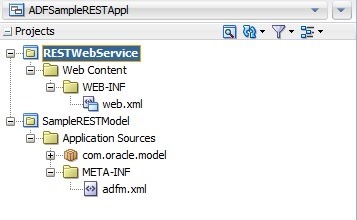 Open AM and navigate to Web Service –> REST and Click + icon. 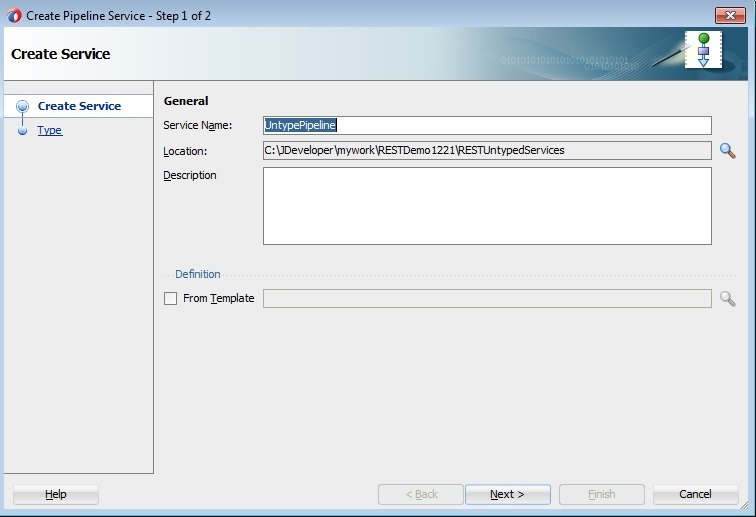 Creation of REST resources create a new project RESTWebService.jpr in our workspace that can be deployed as WAR through which these REST services get deployed. 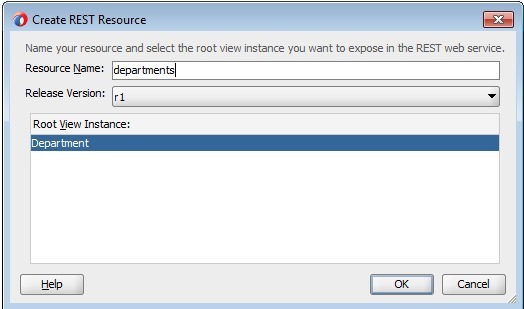 Give the resource name as shown below and click OK. 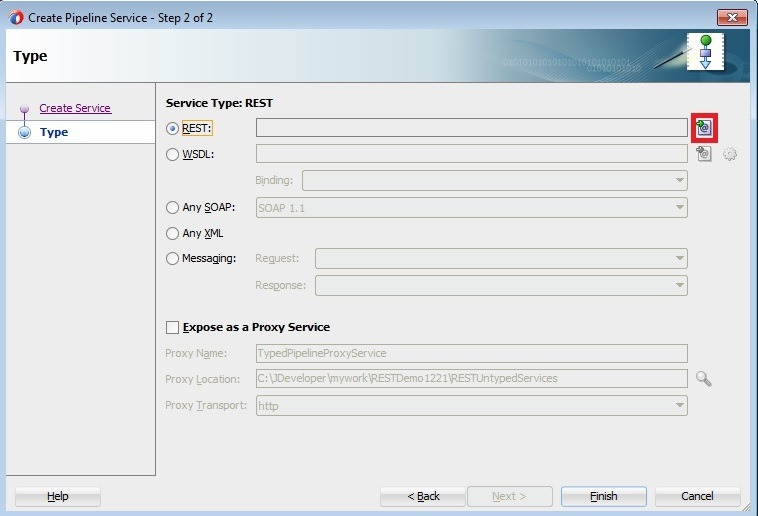 Observe the new RESTWebService project gets created. 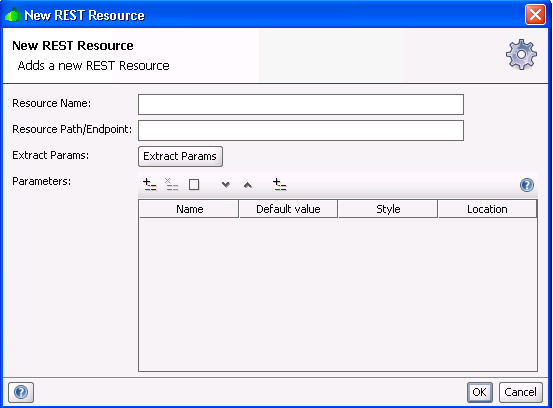 Also observe other files related to REST resources that get created as shown below. 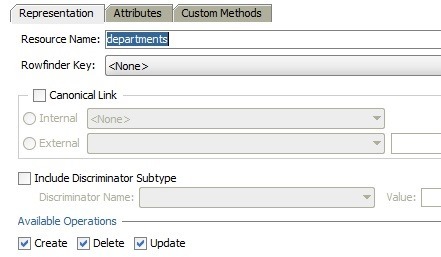 You can use the following tabs to choose the methods to be exposed and the attributes to be exposed to consumers. 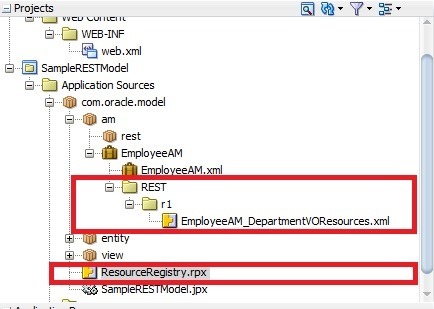 When a VO has View Links the Resource Structure will show all these VOs as shown below. 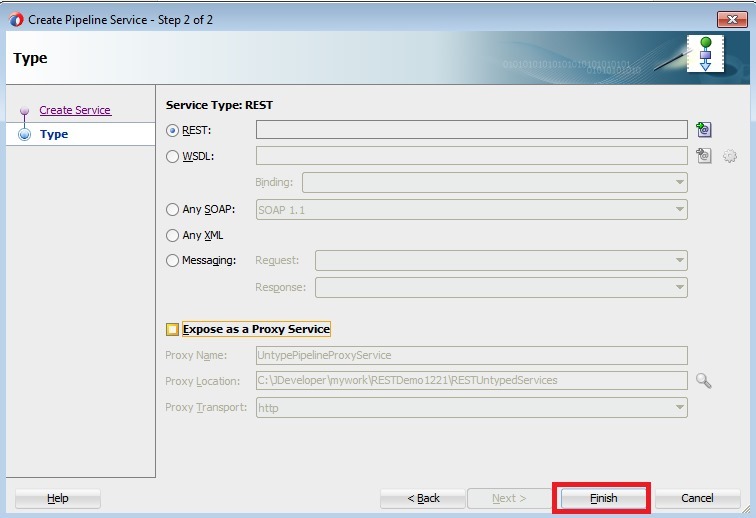 Check these VOs as shown below if it has to be exposed as child resource. 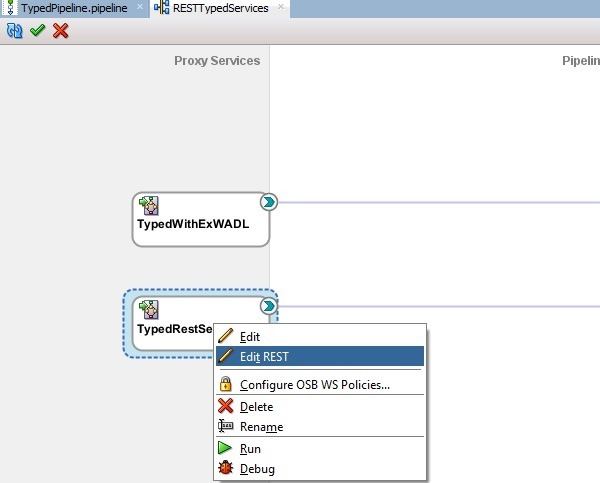 Modify context root of RESTWebService project as shown below representing the purpose of your REST API. 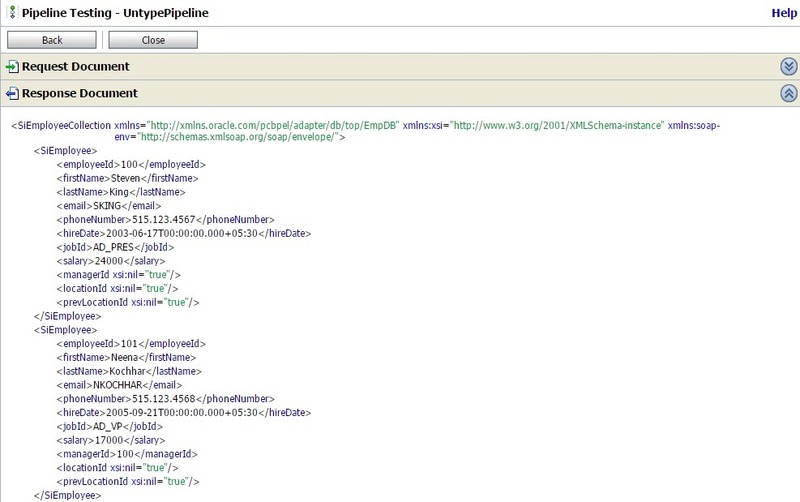 Optionally, we can modify URL pattern in web.xml as shown below. 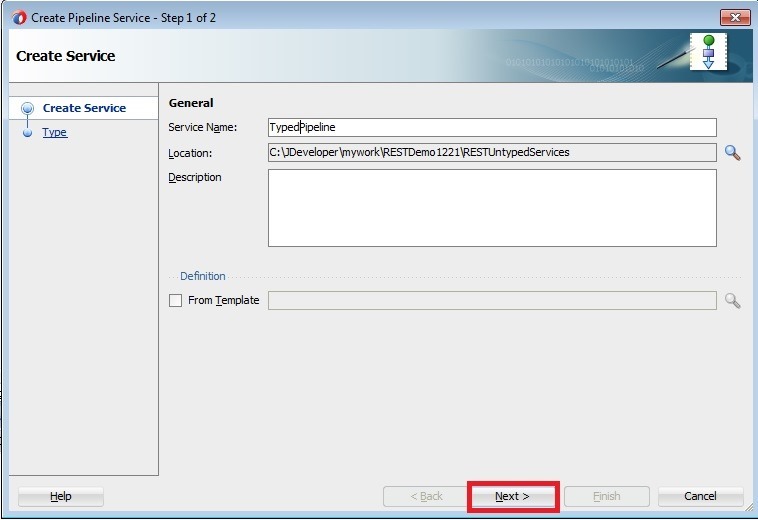 Select RESTWebservice project and do Run on right click as shown below. 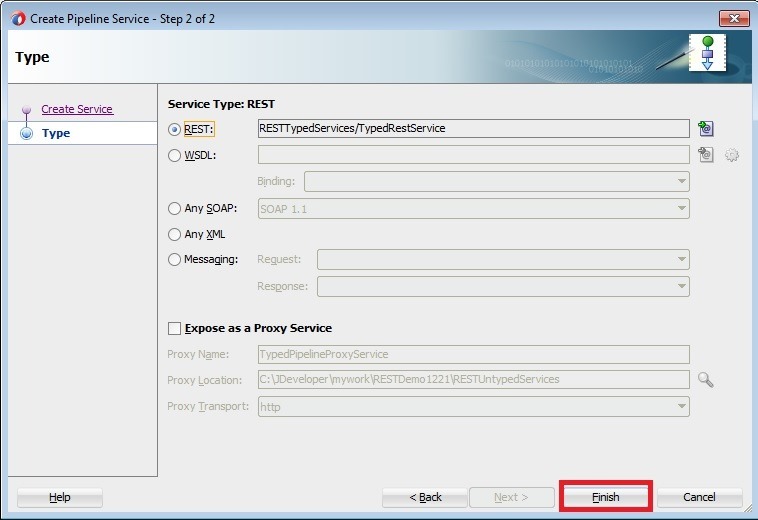 Create EAR profile for ADF application and include RESTWebService project as shown below and deploy this EAR to standalone WLS. 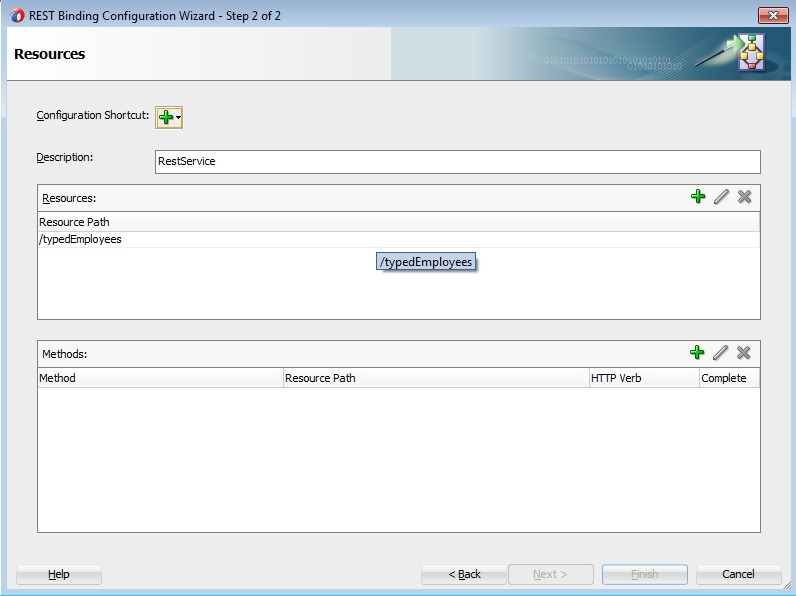 We can also use latest keyword to access the latest version of the resource. 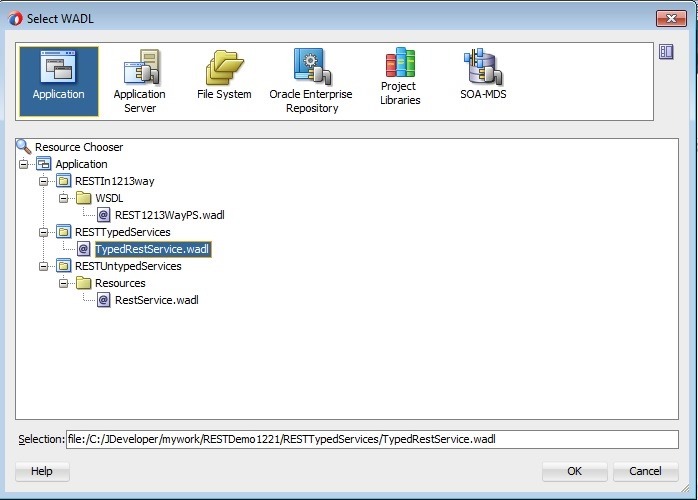 You can use any REST client to try out POST, DELETE, PUT, PATCH depending on the operations you exposed on REST resource. 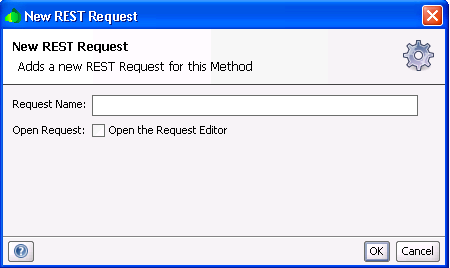 Will not fetch any links or metadata for resource instances in response. Fetches 5 records starting from 2nd record. 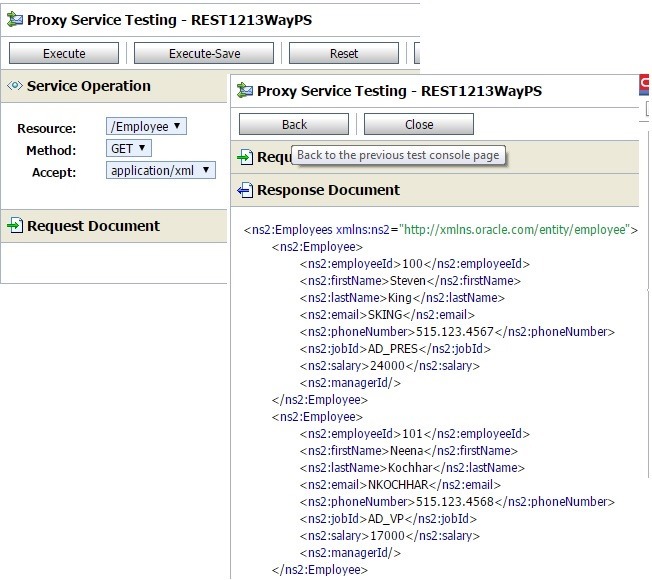 Typically, a PUT request URI looks like below accepting the actual payload in HTTP body. 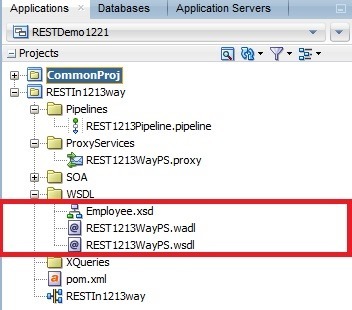 In Service Bus12c, We cannot mix URI parameters with representation of the resource, when we want to define a resource in this way. 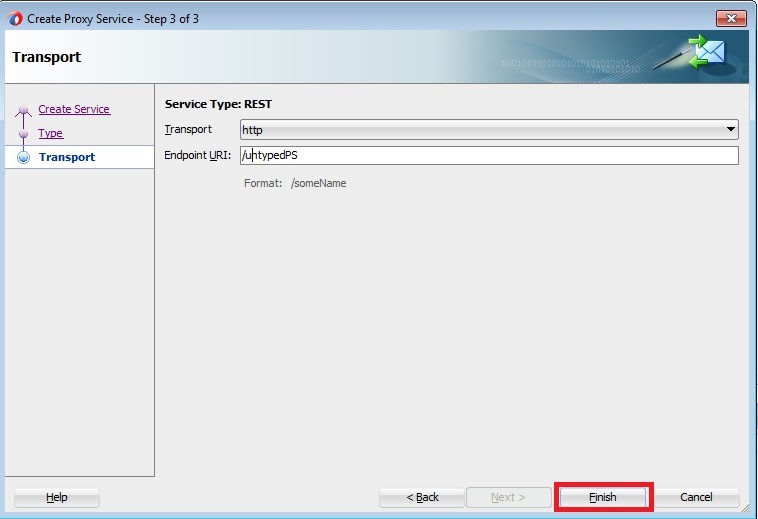 If we run Proxy Service with this setup, we will get an error as shown below. Instead, you can use the expression as shown below. 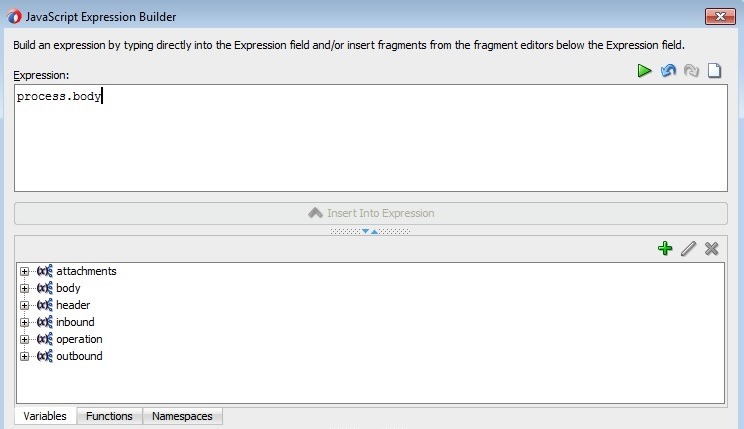 You can access this using the following expression from your message flow. 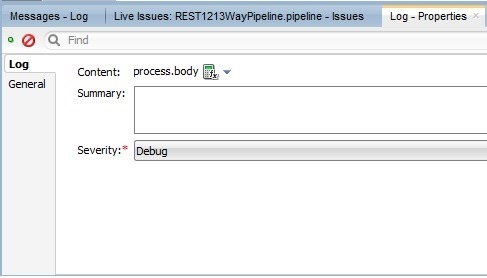 If you log $body and above expression, you would see the log messages as shown below. 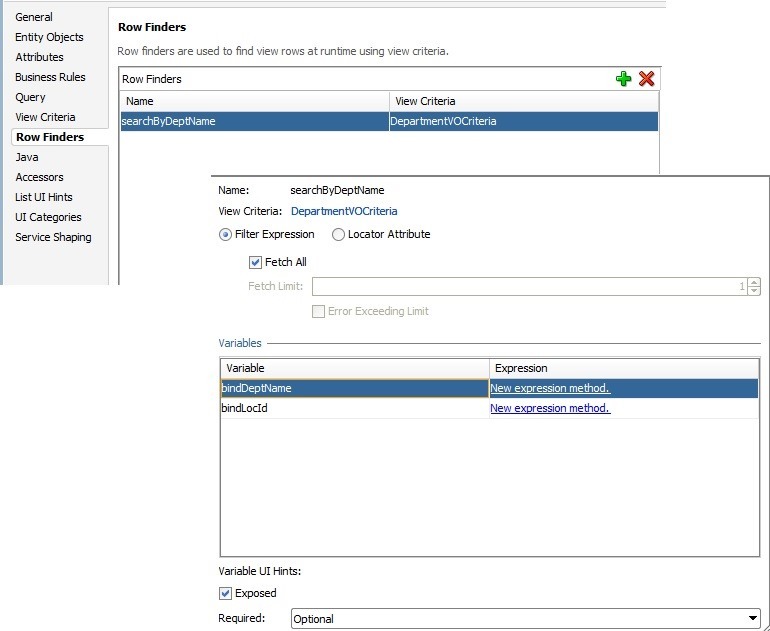 As explained in this link, you may have to populate these URI parameters in outbound variable. 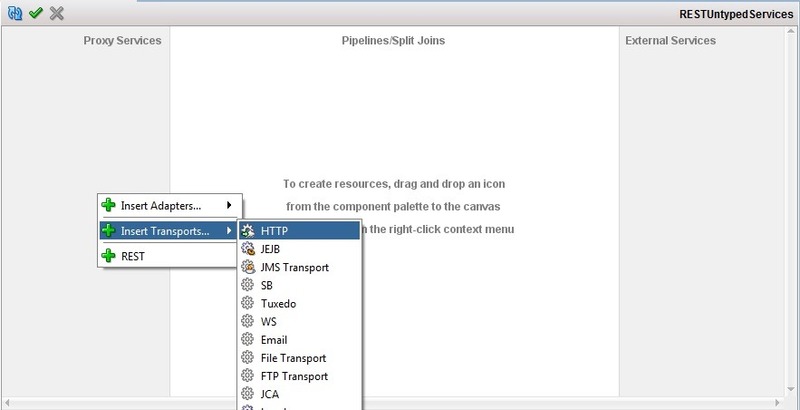 In this blog post, I am sharing sample code that demonstrates the usage of JSON in BPEL context. 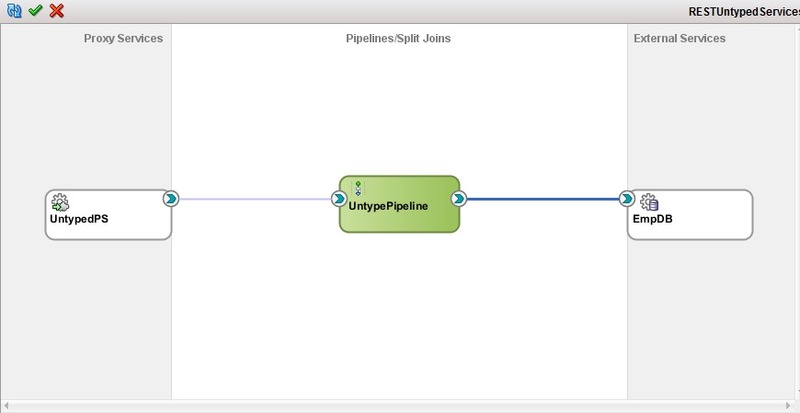 The code is refactored into 2 projects containing the java utility code and a sample BPEL process. 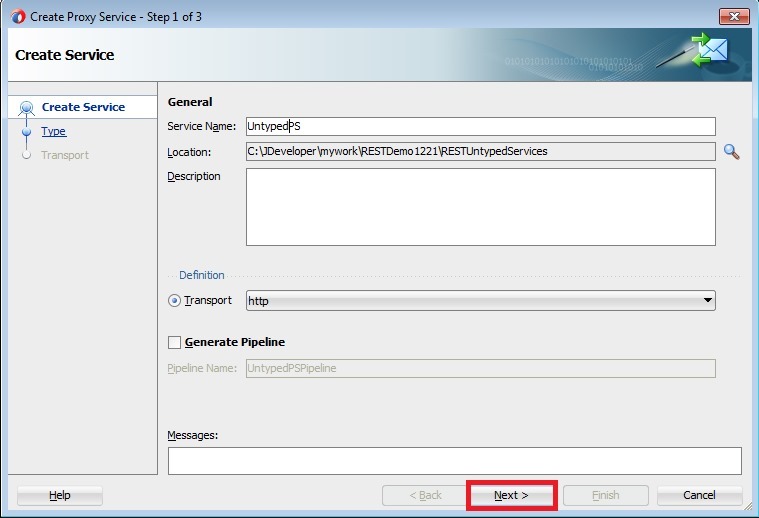 The code can be downloaded from here. 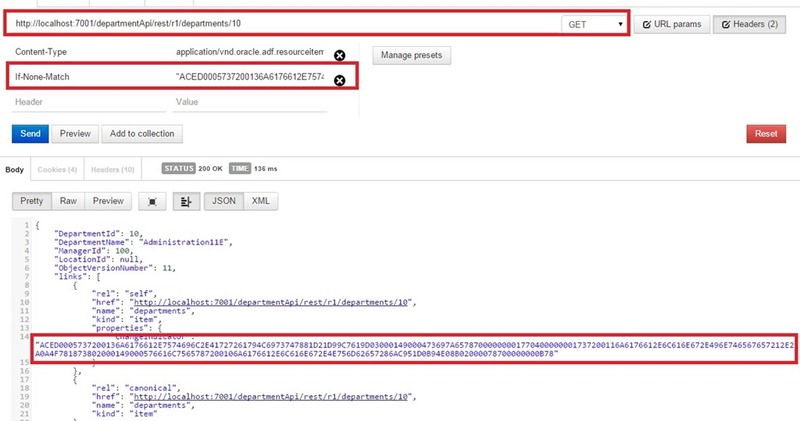 Using cookies to pass authentication info (username and password). 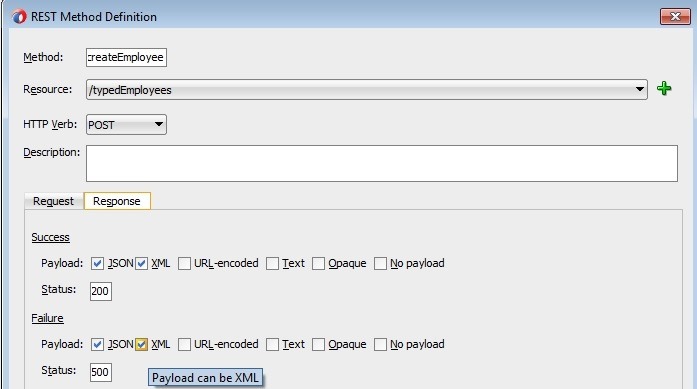 Sending XML payload as URL parameters using intermediate conversion to JSON for GET request. 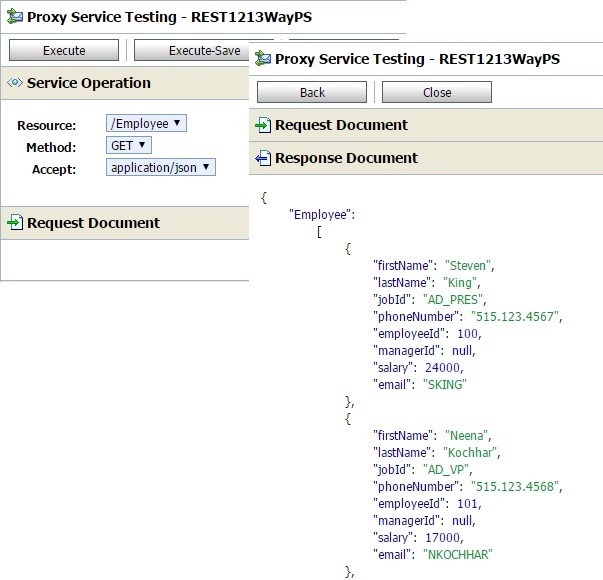 Sending HTTP request through HTTP proxy. 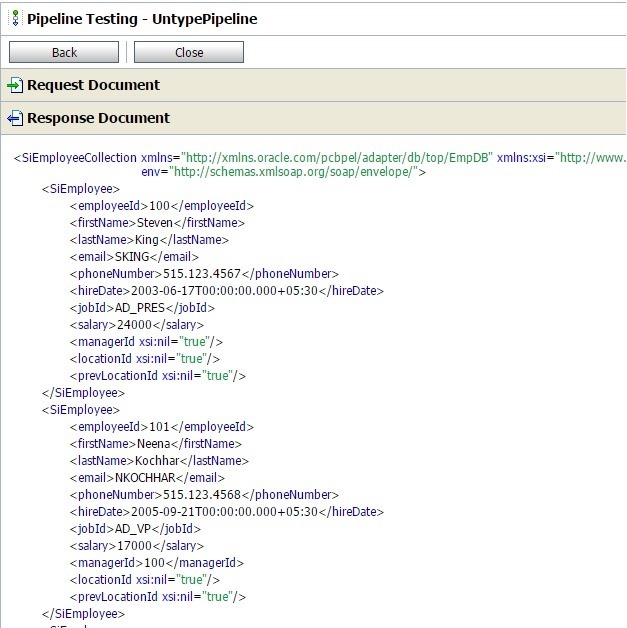 Sending JSON or XML payload in the POST request. 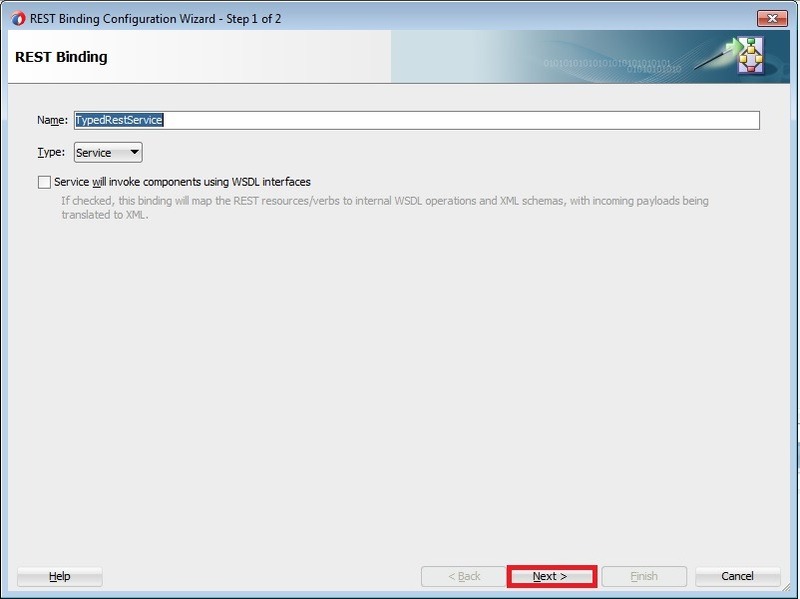 Using BPEL preferences to store any configurable information. 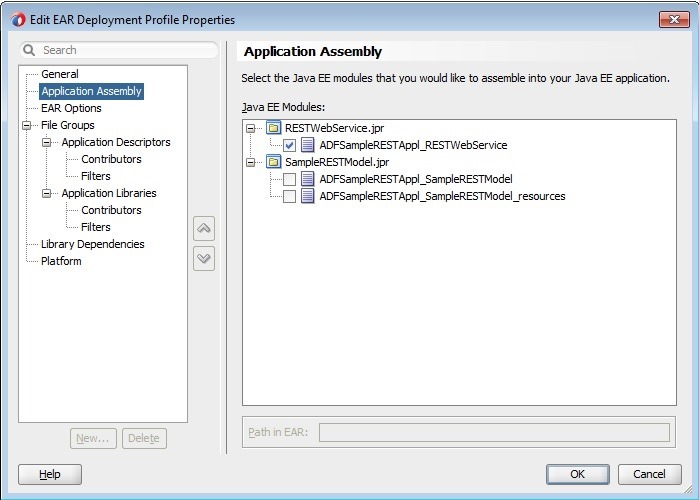 Using java embedding activity to call the external java code. 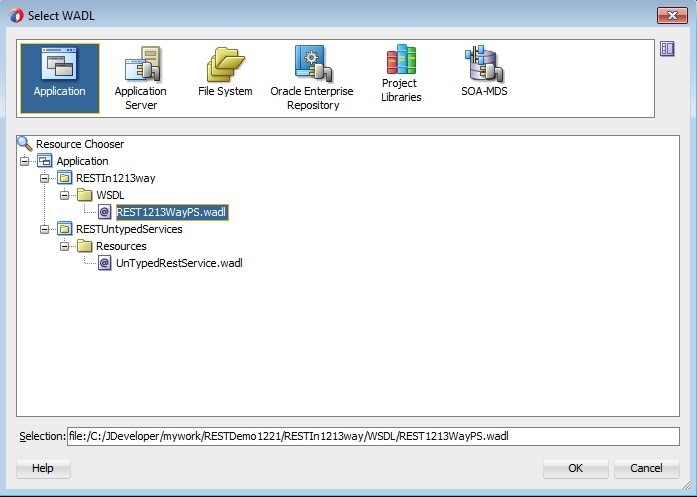 The jar file has to be kept in SCA-INF/lib to refer to java code. 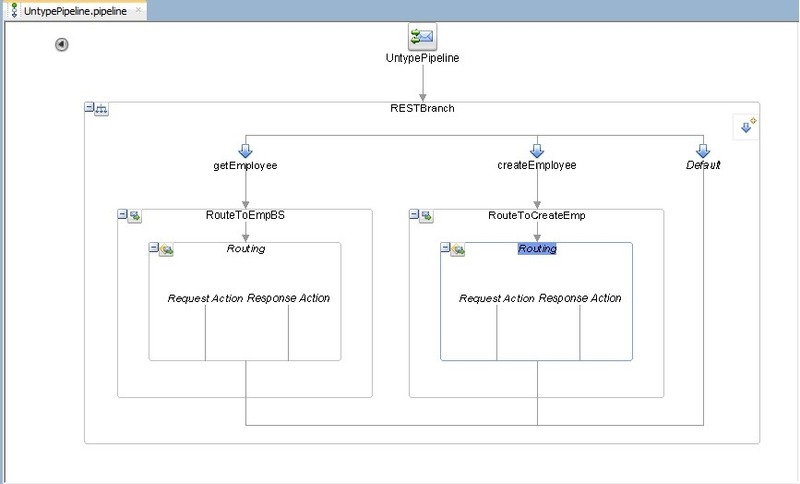 Using Replay activity. 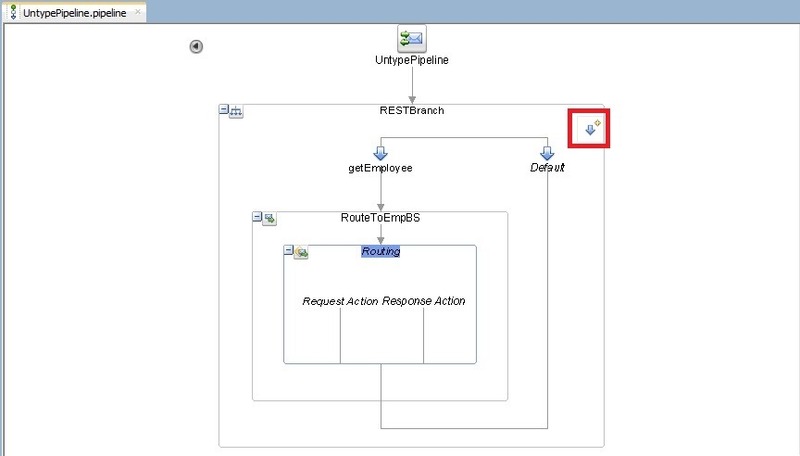 The fault policy mechanism can also be used for retry functionality, if we throw BPEL related faults from java code. 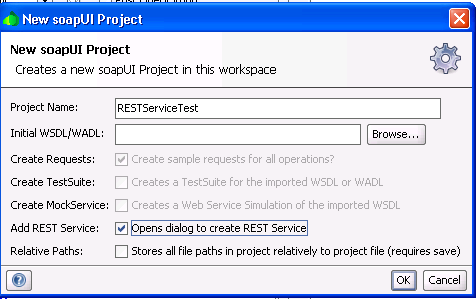 Converting JSON to XML and vice-versa using java utility routines in BPEL. 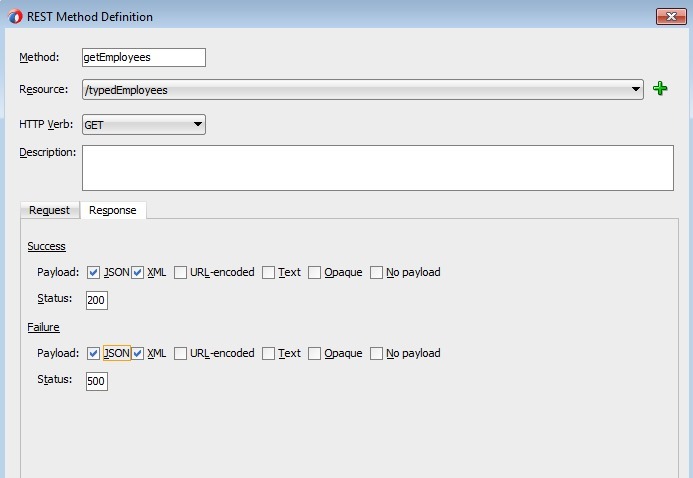 An example on creating XSD similar to JSON data format representing the service response so that XPath expressions can be used in BPEL. 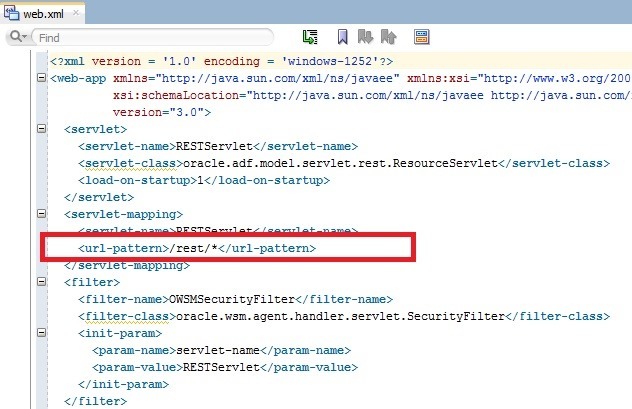 XMLToJSONUtil.java in the code zip file is taken from Biemond’s blog. 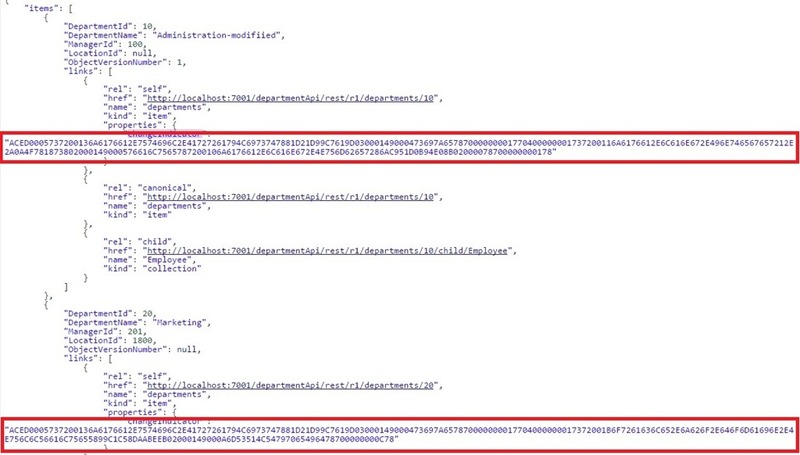 The libraries used for JSON processing can be downloaded from here . 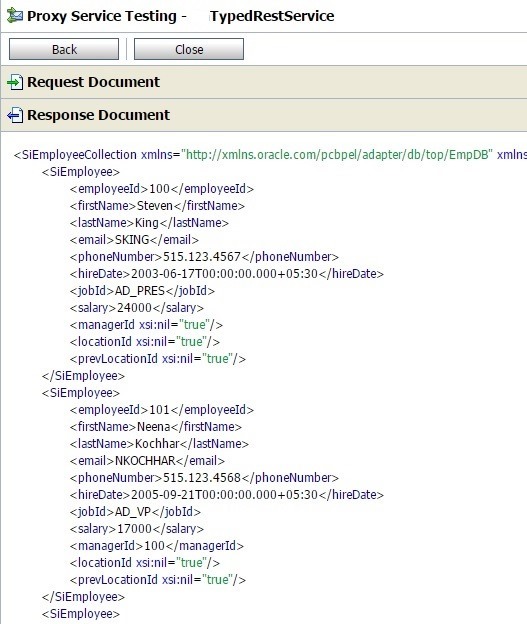 JSR – 353 Java API for JSON Processing is closed for public review. 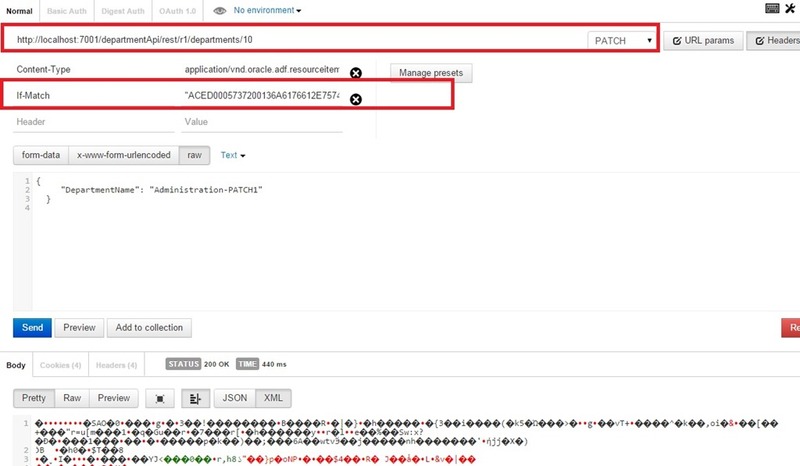 The code is uploaded for reference and this may not be the only way to achieve this.